It's been few months only that I'm totally engaged with one payment app i.e. PhonePe which is an app based on unified payment interface(UPI). Since I need to do many transactions in a month I need to use many payment apps but this one totally won my heart as it's very simple and comes with a decent design and payment can be done within a short time as the response rate of this app is good. I have earned more than Rs. 5000 by referring PhonePe to users out there as it's more beneficial for the users since they get a cashback of Rs. 150 on their first UPI transaction who join PhonePe using my referral link. Here are few points which you need to read carefully before signing in using my referral code. 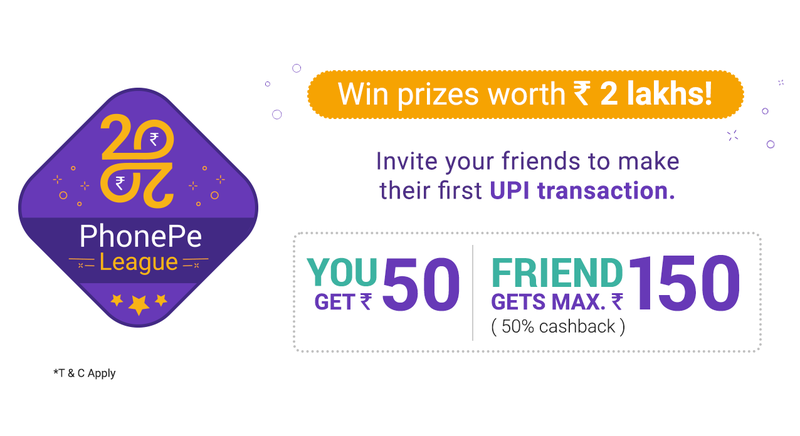 Offer is valid for only send money transactions using UPI to other PhonePe users, or if a transaction is done with payment through UPI on the PhonePe app in the following categories provided on the PhonePe app - Mobile, Datacard, DTH, Broadband, Electricity, Landline, Insurance, and Gas. The Cashback will be credited to the PhonePe Wallet within 24 hrs.